When only the top tech advancements will do for you and your vehicle, these luxury cars are top of the class. They are outfitted with cutting-edge safety features, climate control tech, surround-sound stereos systems, top in-car infotainment additions and much more besides, to make your driving life easier, safer and more comfortable. 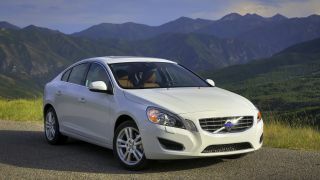 Winner of top safety awards, the Volvo S60 is full of cutting edge technology. As you drive, the car displays road signs in the dash to help you identify yields and speed limits. A new queue assist tech for the adaptive cruise control system means that, when the car automatically adjusts for the speed of the car in front of you (now up to 31mph/50kmph on city streets) and brings you to a full stop, the car won't resume with a sudden jolt automatically if you're paused for more than three seconds. The S60 is one of the few cars on the road that can detect pedestrians crossing your path and stop the car, too. The flagship saloon/sedan from Lexus, this high-end car uses a unique temperature control system that coordinates the air-flow controls, seat warmers and cabin temperature. There are infrared sensors that monitor the temperature for all passengers and make subtle adjustments as needed. The LED lighting system glows bright as you approach the car, then dims as you enter the vehicle and start the engine. A driver attention monitoring system knows if you are getting drowsy. This much-improved vehicle for 2013 now has an active parking assist feature that takes control of steering when you parallel park. But that's just the beginning of the new automated steering controls. When you drive around a tight corner, the Mercedes GL-450 will make subtle corrections to the ride to ease you around the corner. If a gust of wind blows onto the road on a mountain pass, a crosswind stabilisation system will also correct steering for you and keep the car straight. You might think the highest-end BMW would be the company's flagship luxury saloon/sedan. But this smaller, more affordable hybrid is the one that's outfitted with the latest tech enhancements. The car can parallel park automatically, dip the headlights from high-beams for approaching cars, and beep at you if you get too close to another car when parking. Those are fairly standard features on a luxury car. But the ActiveHybrid 3 also supports BMW apps such as a new parking spot finder, offers Google Search in the sat nav system, and has a head-up display (HUD) that shows the current posted speed. Another surprise on this list, considering most of the high-tech cars on the road are luxury saloons/sedans, the JX rounds out our list because it has a wholly unique feature. While some cars have a back-up assist that can warn you about an imminent collision, the JX will intervene and stop the car for you. The luxury 4x4/SUV also has typical Infiniti high-tech features, such as a lane departure intervention system that bumps you back into your lane, and an adaptive control system that works even from long-range.